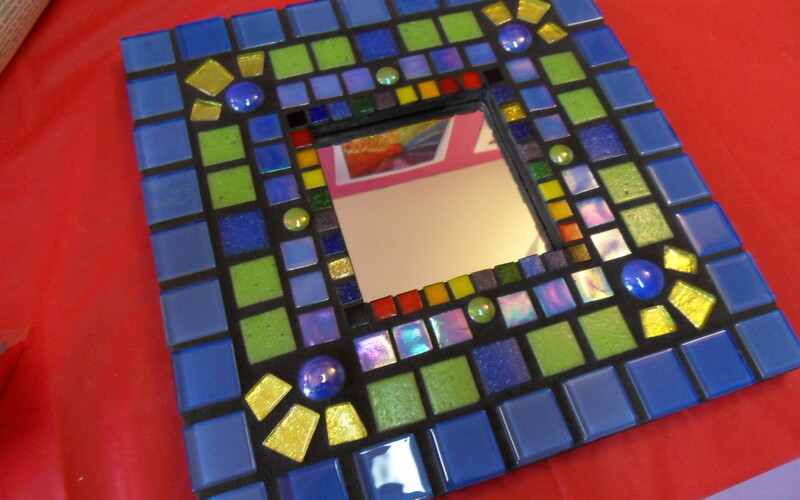 Beginner’s Mosaics Class scheduled for September! Here ye, here ye! Tile Mosaic Girl has (finally!) scheduled her next Beginner’s Mosaics class! Two Tuesday evenings, September 10th and 17th, from 6:00-9:00 pm (we’ll start at 5:30 if everyone is able to make it early), this class is fun and very informative; you WILL learn all you need to know to get started in indoor mosaics. Once you take this class, you will be able to continue making indoor mosaics and honing your skills. Lots of questions answered, skills and techniques learned, and detailed handouts to go home with! These classes always fill up (limited to only 6 students for plenty of individual attention), so be sure to get registered; first come, first serve! Hope to see you then! Summer Outdoor/Garden and Beginner’s Mosaics Classes Scheduled! Krystie Rose named Featured Artist on Contemporary Mosaic Art! Snooze Del Mar Commission Completed and Delivered!